By definition, contractors railways are only relatively short lived, but this site is featured in the current railways as it has probably only recently been taken up. Nuttalls constructed a 1600m tunnel to carry pipelines serving a Southern Water pumping station. 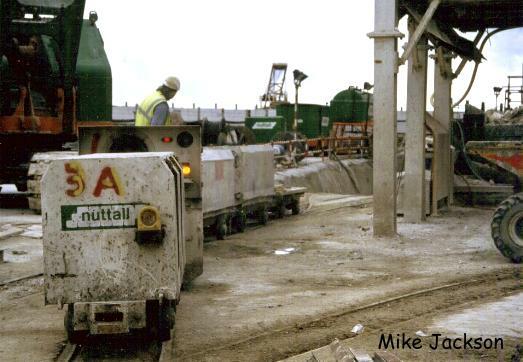 These photos were taken by Mike Jackson in February 1998, and the completion of the pumping station was expected to take another 6 months after this. Four identical Hunslet 4wDH locos were used here. 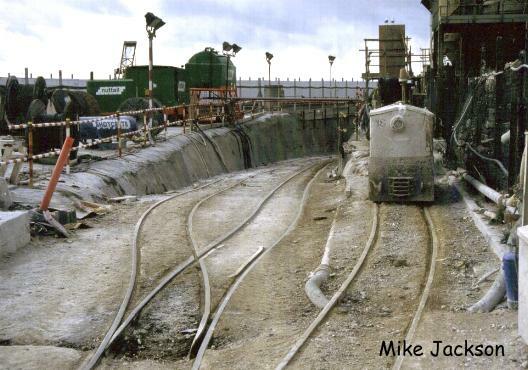 The locos were built in 1994, and were on hire from the Hunslet Engine Co. Three trains comprising of 4 dump wagons each were in use during tunnelling. Various items of rolling stock were used. 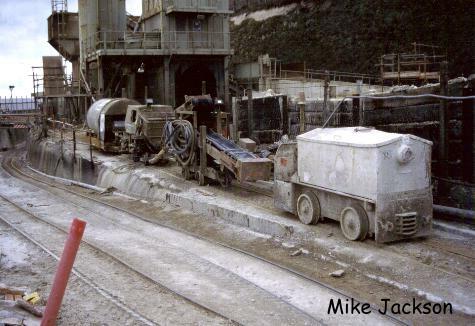 As well as the spoil wagons, manrider cars, and rail mounted concreter were also used. 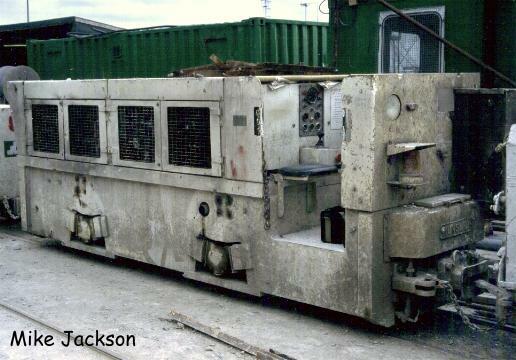 The only other locomotive was a small 4wBE Clayton, which was used for moving stock around on the surface.